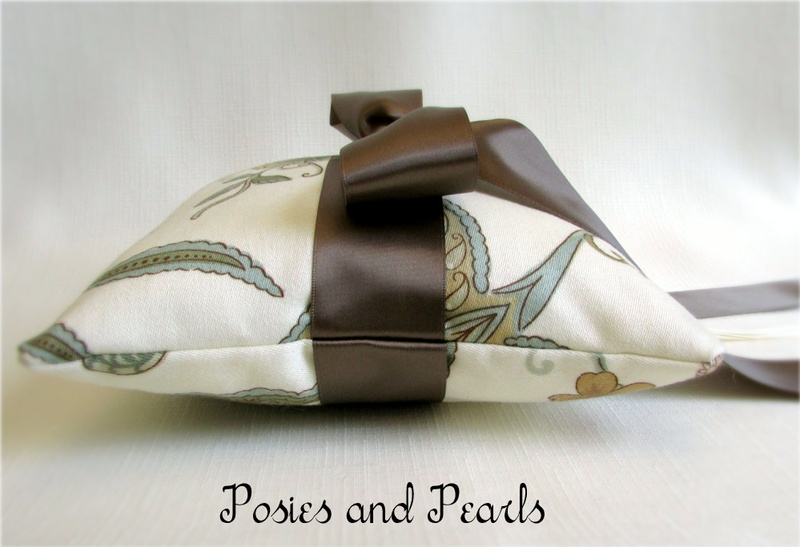 This lovely ring pillow is inspired by the colors of the French Riviera! 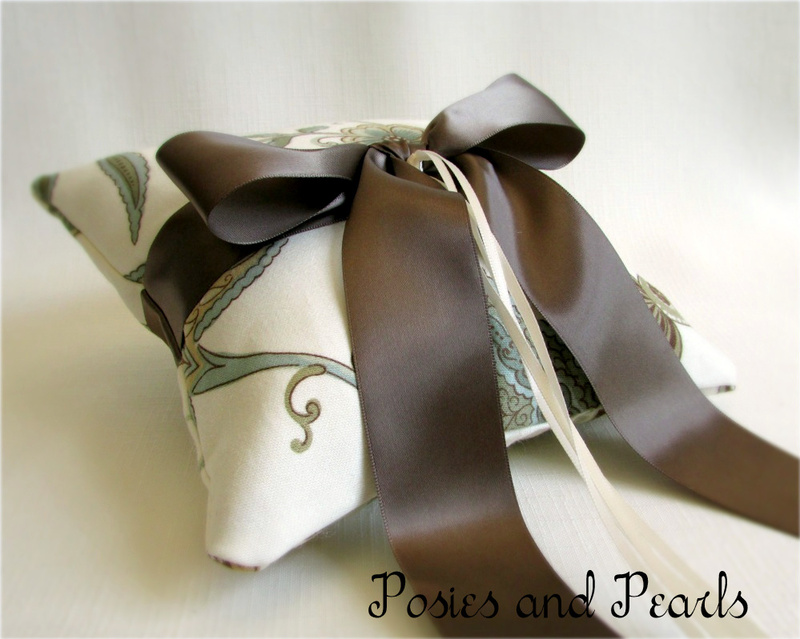 The elegant floral pattern, including shades of taupe, chocolate brown, mocha, seafoam, and aqua, comes to life on an ivory background. 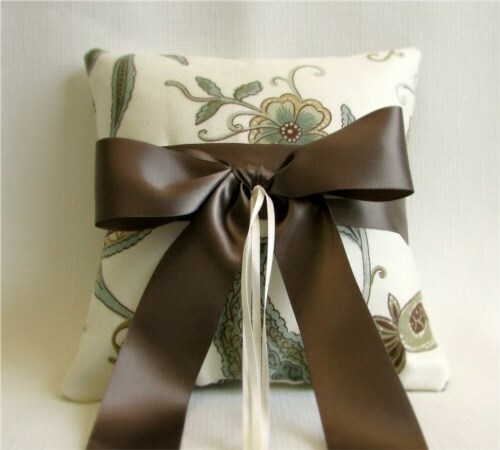 A rich, mocha colored sash surrounds the pillow and ties in a classic bow at the center. Simple ivory streamers are in place so that you may securely attach your wedding rings. CUSTOM ORDERS: Like this style but prefer another color scheme? Have a larger wedding party? I can create coordinating pieces for each of your attendants including bridesmaids’ bouquets, corsages, boutonnieres,and flower girl baskets. Contact me and I will be glad to assist you. 100% cotton, fully lined and filled with 100% polyester fiber.